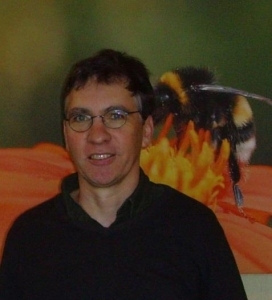 Felix L Wäckers has been working in the field of plant-insect interactions for over 25 years. Before accepting his current positions at Biobest he worked at Wageningen University (the Netherlands), the Netherland’s Institute of Ecology, ETH Zürich, Lancaster University and USDA-ARS. He is visiting Professor at Lancaster University, chairman of the European Learning Network on Functional Biodiversity, steering group member of the IOBC group on landscape management. He is editor of Biological Control and on the editorial board of the Journal of Applied Entomology, the Open Access Journals "Insects" and "Open Entomology Journal". His research addresses various aspects of plant-insect interactions, including plant induced resistance, pollination ecology, insect nutritional physiology, insect sensory ecology. His group has done pioneering work on how biodiversity functions and landscape management can be optimized to generate effective pollination and biocontrol services. In the last five years he has published more than 50 research articles, with a total of 150+ publications since 1989, as well as a book (2005) for Cambridge University Press on agro-ecosystem ecology.